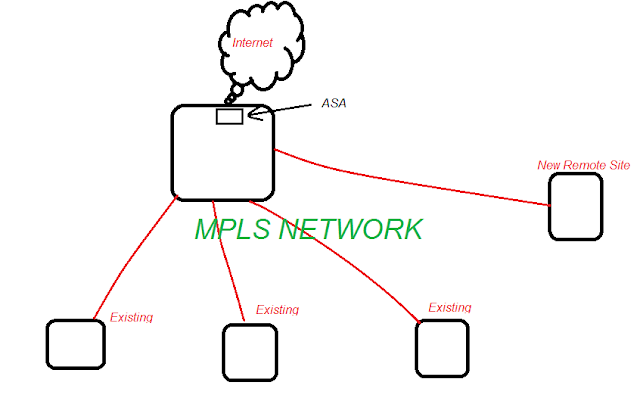 Have you ever needed to add a new remote site to your network and add it to your ASA with 8.3 or higher code? I mean, you already have the ASA setup and doing what you want it to do. You just need to add the new site for Internet access. Here is what you do. The ASA needs to know about the new remote site. 192.168.7.0/24 is the new network. You have to have a route pointing back to the internal core switch (10.10.1.1) to get to the new remote site. This was already in the config and no change needed, since it encompasses all internal networks.